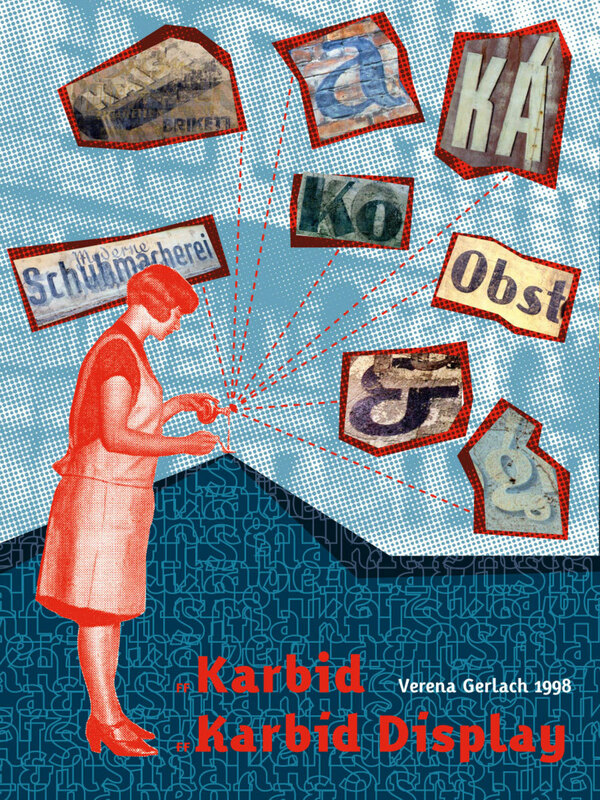 Designed by Verena Gerlach in 1999. 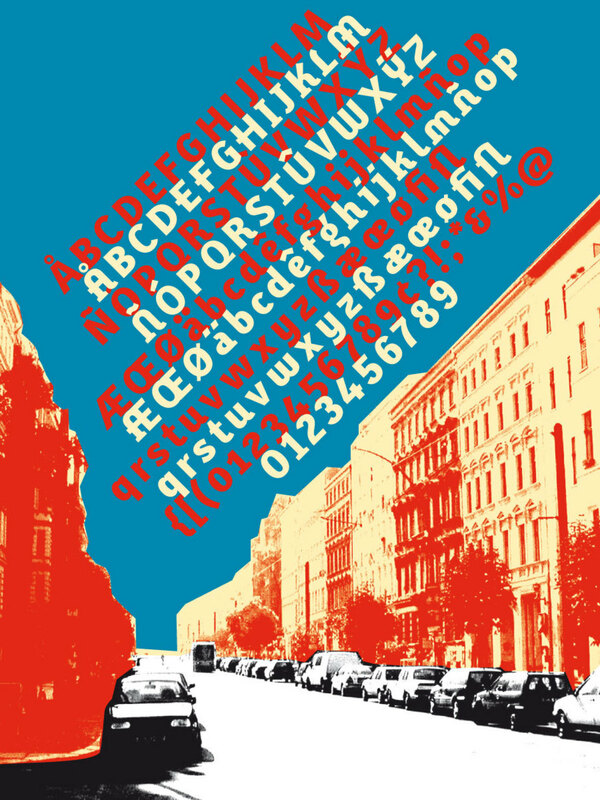 Published by FontFont. 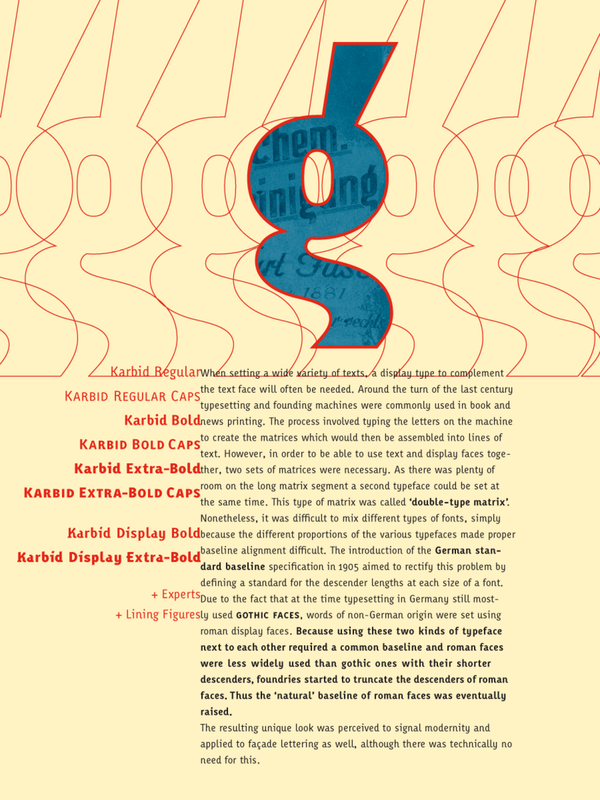 FF Karbid Display supports up to 82 different languages such as Spanish, English, Portuguese, German, French, Turkish, Italian, Polish, Kurdish (Latin), Azerbaijani (Latin), Romanian, Dutch, Hungarian, Kazakh (Latin), Czech, Serbian (Latin), Swedish, Belarusian (Latin), Croatian, Finnish, Slovak, Danish, Lithuanian, Latvian, Slovenian, Irish, Estonian, Basque, Luxembourgian, and Icelandic in Latin and other scripts.